Contemporary Architecture Made in Germany: From the first sketch to turnkey solutions. The success of a building project depends on many factors that vary from good design to efficiently organised construction phases. Anyone employing a German architecture practice can be assured that responsibility for the complex tasks and processes remains in one pair of hands only: that of the architect's. 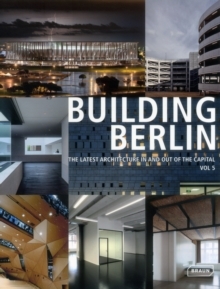 This publication showcases more than 120 buildings, designed by German architects in over 30 countries worldwide. The 476 pages also work as an investors' guarantee to good architecture. This volume, Contemporary Architecture Made in Germany, accompanies the eponymous exhibition - promoted by the German Federal Chamber of Architects (NAX) - that has already shown in hotspots such as Paris and Beijing. 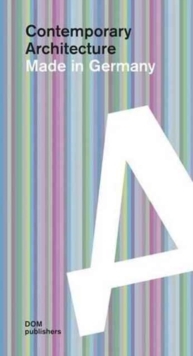 NAX was established in 2002, as an active ambassador for the German building culture; to connect international clients with German architecture firms.